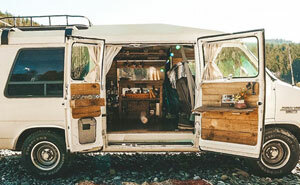 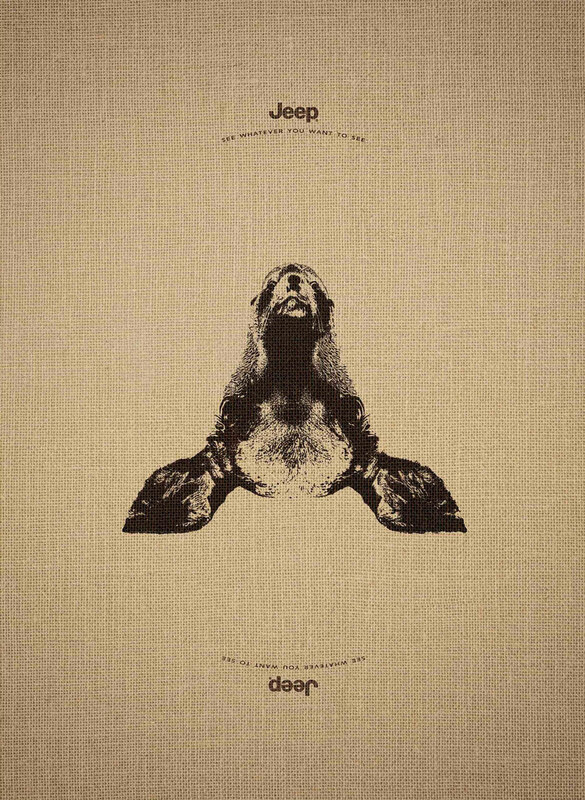 Leo Burnett, a prestigious international ad agency, created a brilliant 3-image optical illusion ad campaign for Jeep in France with the motto “See whatever you want to see” that merited a gold award for press at Cannes Lions. 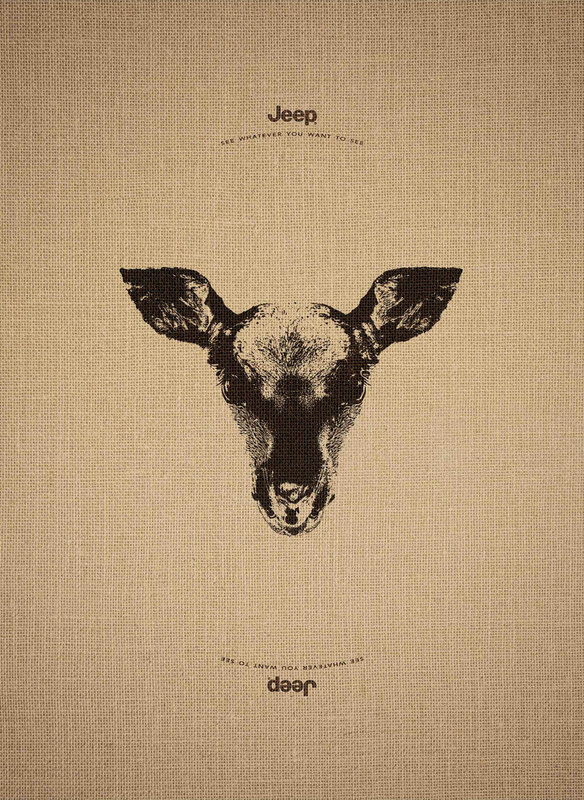 At first, the 3 images in this ad campaign might look like nothing special – just dark animal images on a burlap background. 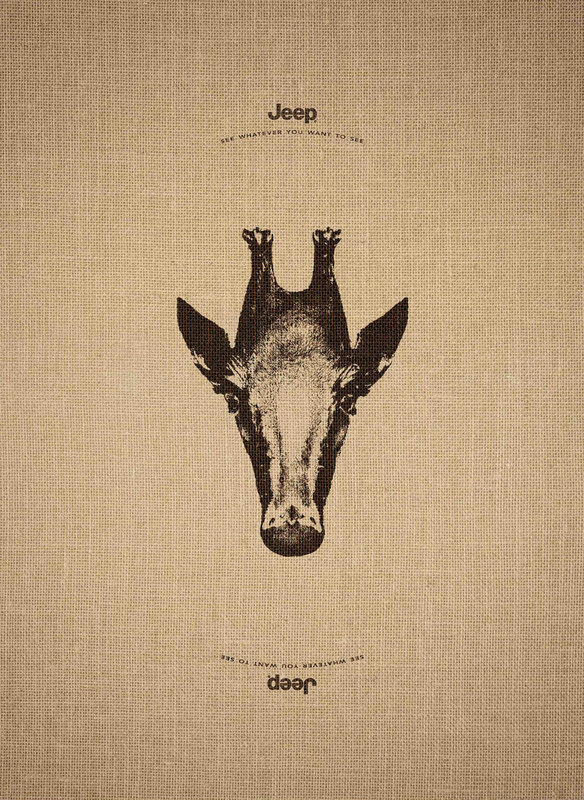 You have to flip them over, however, to truly appreciate the agency’s artwork. 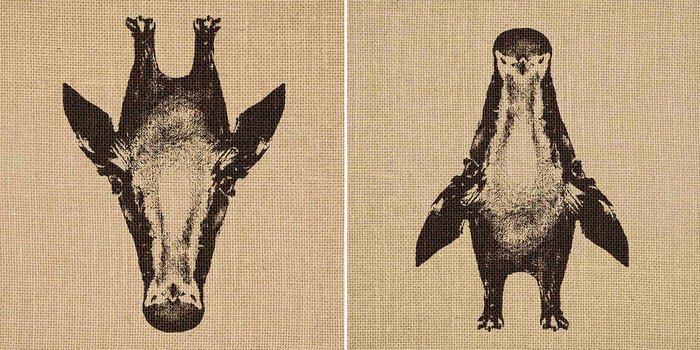 Each image can be viewed as a different animal depending on which direction you view it from, and these two coexist without interfering with each other. For you australians out there?